Life's too short... attract... accelerate... and hang on! Kate loves to speak about overcoming the obstacles life throws us. She is a highly experienced foster/adoptive parent and a certified Life Coach trained in causal coaching, and Law Of Attraction. What are you doing for the next thirty years? Kate is a certified Life Coach, Speaker, Singer/Songwriter, Author, Actress and mother to twelve children. She began her Professional career in Australia with success in Motivational Speaking, Writing and Acting. She moved to the United States in 1991 with her husband and four children. 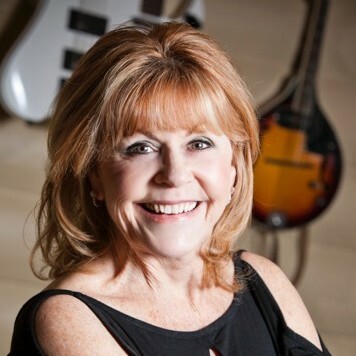 She is not only a Life Coach certified in The Law Of Attraction and Causal coaching, she continues to have a very successful songwriting, acting and writing career. Kate speaks, coaches and helps people to achieve the best life though teaching the Law Of Attraction. Through a series of life transforming events, Kate adopted eight children, including three sets of twins. Along this journey she also fostered some fifty children, most with special needs. She has published two books, "Is Eight Enough" and "Finding Friday" Both books are about her journey with children through the foster/adoptive system. She has now finished two other books about to be published, "Find Your Purpose/Find Your Passion" and "Ten Slices of Swiss Cheese/Ten Tools For Foster Parents." Kate is a rivoting speaker and shares about her knowledge about children experiencing difficuties, and the life changing challenges she has overcome with her children. She looks for every opportunity to encourage both parents and children in the foster care system. She is also a founder of a branch of Faithbridge Foster Care at her home church, where she encourages, equips and helps train new Foster Parents. Find out more about Kate Penwarn Thompson at http://www.theadoptionthing.org.